The MCLS is indebted to Dan Berch for his inspiration and hard work in founding and promoting the Mathematical Cognition and Learning Society. The years he spent at the National Institutes of Health (NIH) building a funding program in this field, along with his own experience as an active researcher, provided him with the requisite interest, connections, and knowledge to steer the Society through its early years. He has prepared the following historical account of how the Society was established. In the fall of 2013, the Eunice Kennedy Shriver National Institute of Child Health and Human Development (NICHD) awarded a five-year conference grant to Dan Berch (PI, University of Virginia) and Dave Geary (Co-Investigator, University of Missouri). As planning for the conference series began, both the Scientific Officer—Kathy Mann Koepke—and the Program Officer—Peggy McCardle—suggested that Dan think about the possibility of forming a scientific society downstream that could be the mathematical equivalent of the Society for the Scientific Study of Reading (SSSR). With the assistance of the Conference Steering Committee (Dave Geary, Kathy Mann Koepke, Daniel Ansari, Lynn Fuchs, Michele Mazzocco, and Stephen Petrill), Dan subsequently developed a mission statement, a draft of the bylaws, a provisional organizational structure, and a list of prospective Governing Board members. Shortly thereafter, Wim Fias, Roi Cohen Kadosh, and Avishai Henik, who had been thinking about forming a similar society serving a different geographical region, contacted Dan about the possibility of creating a single international organization. 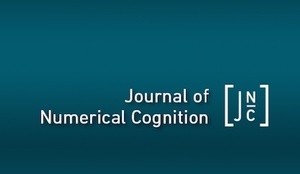 John Towse, the Editor-in-Chief of the soon-to-be-launched Journal of Numerical Cognition (JNC), also participated in the ensuing exchanges concerning this proposal. Dan’s Conference Steering Committee enthusiastically endorsed the idea, following which Dan began to assemble the original Governing Board, which included his Conference Steering Committee members together with Wim, Roi, and Avishai, Mark Ashcraft, Liz Brannon, Ed Hubbard, Bob Reeve, and Xinlin Zhou. Finally, monetary support for helping grow this nascent organization was furnished by Ghent University (Wim Fias), Jesus College (Roi Cohen Kadosh), and Ben-Gurion University of the Negev (Avishai Henik), as well as Dan’s NICHD grant and the program income from his conference series. The Society was officially incorporated in Washington, D.C. on April 22, 2015. On December 18, 2015, the U.S. Internal Revenue Service approved the Society’s application for tax-exempt status as a 501(c)(3). In May of 2016, JNC became the official journal of the MCLS after being sanctioned by both the Society’s Governing Board and PsychOpen. In July of 2016, the MCLS website was formally launched.